When it comes to games that made the best use of Nintendo’s dual screen hardware, people often mention the likes of The World Ends With You, but Etrian Odyssey will always be the game that made the best use of DS and 3DS hardware for me. 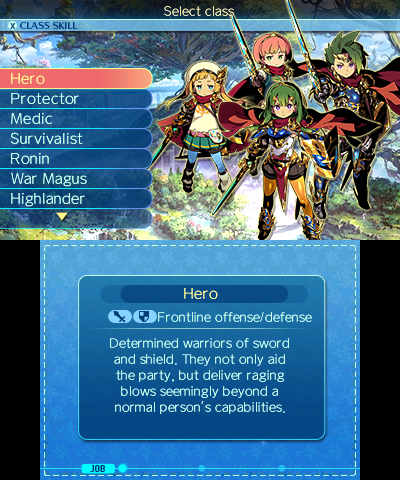 The franchise that began on the DS has seen multiple numbered entries and remakes across both systems alongside two spin-offs, and the final entry in the franchise for dual screen systems arrives in the form of Etrian Odyssey Nexus (Etrian Odyssey X in Japan) and despite one annoyance, it manages to be a superb celebration of the franchise for fans and a mostly great entry point for newcomers. 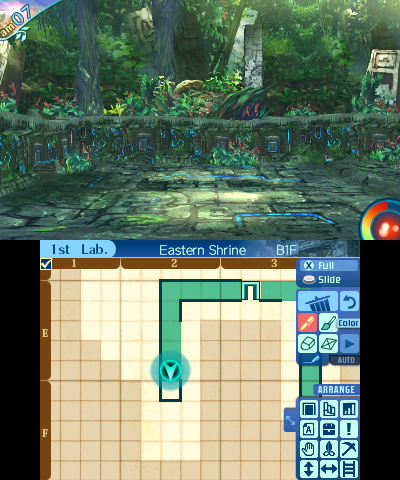 Etrian Odyssey is about exploring labyrinths and drawing your map on the bottom screen. Each entry introduces something new mechanically and has various quality of life improvements. The Untold games have a story mode as a big bonus to the classic mode that is basically a remaster of the DS game. Etrian Odyssey V saw Atlus look back at what made the originals great and it is a superb classic style Etrian Odyssey game with modern quality of life fixes and newer visuals. Etrian Odyssey Nexus is basically the swansong for the franchise on 3DS and a celebration of the series so far. This has resulted in experience that will be bittersweet for longtime fans, but also one that is going to hopefully bring more people into the franchise. This isn’t an Untold game or a remake, so it follows the usual setup of you having to form your own party from a plethora of classes available. In fact it is pretty mind blowing just how much you have access to in terms of customisation here. You can select a portrait for each class and then tweak various colours on said portrait. Once you have your main party (and a few backup adventurers), you get into the main loop which is explore, map, slay monsters, return, sell items and drops, and finally upgrade and buy equipment to help you go forward. Don’t expect a deep narrative here because the exploration and labyrinths are the real meat and potatoes of Nexus. While this does reuse a lot from previous games in conjunction with a lot of new things that are only in Nexus, there is an interesting twist on many older things. Labyrinths from earlier games will remind you of those games but not play out the same. FOEs, the super enemies that are visible on the maps and the ones you actively avoid initially, are still pretty scary even multiple games in for me. Studying their patterns is key to making progress. Outside the main “story” flow, there are loads of side missions you can take on from the Tavern which are worth your time for the item and money rewards. There isn’t much point hunting down a FOE if you don’t have money to buy the weapon available after defeating one is there? While you don’t need to map out each labyrinth floor all the way, you do get rewarded for putting in the effort. Speaking of mapping, it is the best it has ever been with everything new from earlier games and some more enhancements that makes it feel a lot quicker in general. Having icons for points of interest like shortcuts or chests change when you’ve unlocked them will never get old and is probably one of the best addition the franchise has seen over the last few games. If you aren’t a fan of spending time drawing maps all the way, you can enable auto mapping that does a good job of mapping the stuff around you. 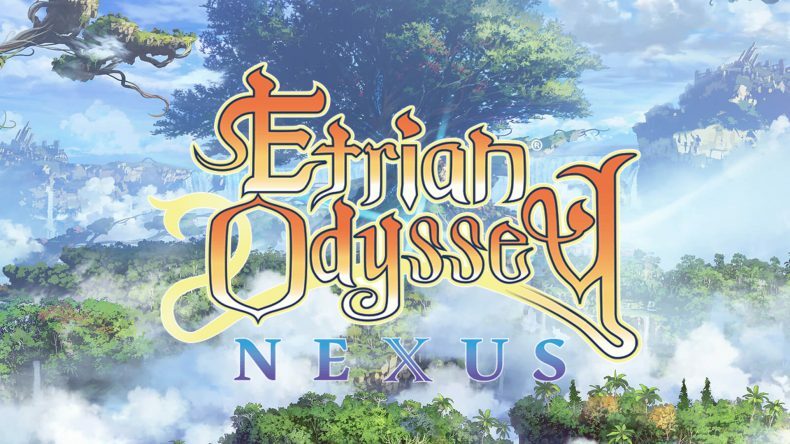 Unlike most newer 3DS games, Etrian Odyssey Nexus does support 3D. I know many people probably don’t care about this anymore but seeing the gorgeous labyrinths in 3D is always great. I usually keep the setting on for a whole floor before turning it off. The art direction is always strong and it looks super in 3D. The UI is as strong as it has ever been with a lovely combination of green and blue throughout. Yuzo Koshiro’s soundtrack here uses a lot more distorted guitar than expected and it is awesome. One of the tunes would feel right at home on an 80s Iron Maiden album. The voice acting is one of the biggest flaws in Etrian Odyssey Nexus. This isn’t because of the lack of English voice acting but how Atlus has implemented voices here. There are many situations where dialogue spoken doesn’t have any subtitle. This is true for NPCs in the hub and also combat and exploration cues. For the unaware, when you walk on a spot that has something of interest, someone in the party usually mentions something. This is obviously not subtitled in English and is a problem if you turn off the voices in general if you aren’t a fan of a few of the voices here. There isn’t any granular control over voices so it is either all or nothing. I get that adding an English dub is probably not financially feasible for a niche franchise on a handheld in its twilight years like this, but I expect all spoken dialogue to be subtitled at least. 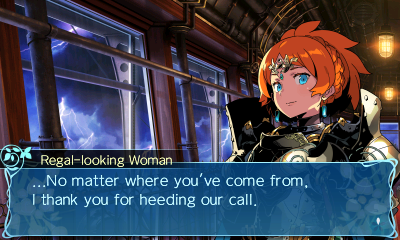 Etrian Odyssey Nexus does almost everything right. Fans who have played earlier games will love it for how it celebrates the franchise. Newcomers can treat this like a greatest hits album that usually sees people dig deeper into main albums if they like what they hear and end up getting earlier games. Some newcomers might be overwhelmed by the classes available and find it a bit difficult to form a party with good synergy though. The only caveat for playing this before the others is how going backwards will result in some great quality of life features not be there since each new entry added something worthwhile to the game be it through combat or mapmaking. It is sad that Atlus USA couldn’t end the franchise on 3DS with a full localisation that included English voice acting. That is the only real blemish on this gem of a release. Hopefully Persona Q2 sees a better implementation of Japanese only voice acting because not having some dialogue subtitled is annoying.